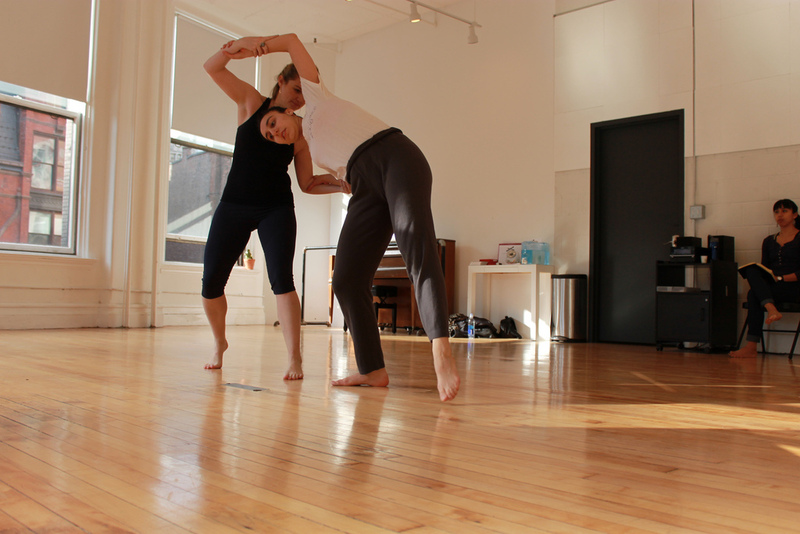 Last Saturday I had a blast performing an as-yet-untitled work-in-progress duet choreographed by Amy Jacobus and danced alongside Alexandra Pinel at the DanceNOW[NYC] Raw showing at Gibney Dance Center. Several artists showcased works of 5 minutes or less followed by a discussion with the audience. 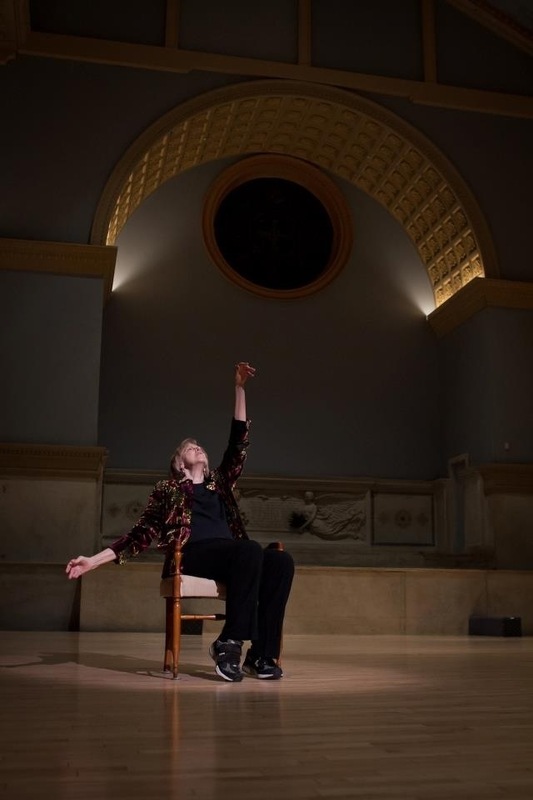 On February 15th I had the distinct honor to perform a piece called “The Dress” alongside the incredible Linda Tarnay (former chair of NYU’s Tisch Dance department for most of the time I was a student there) at Movement Research at Judson Church. If you want some mega-inspiration, do a search on the interwebs for Linda now. 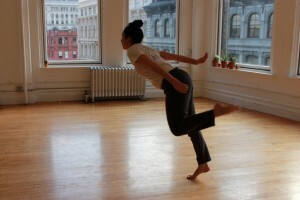 Choreographer Naomi Goldberg Haas of Dances for a Variable Population was inspired by a story she’d heard Linda once tell, and sculpted a piece around a recording of Linda’s recount of it. It’s a tale of travel, romance, being an artist in New York, “magical thinking,” and one expensive bombshell dress, all set to a score by composer Jascha Narveson. It was the second time I’ve performed at Judson, which was a big thrill. Every time I enter that space I feel the creative energy of the artists that innovated there in its heyday. Anyway, the real reason I posted this is so that you could see this breathtaking photo by the venerable Samantha Siegel. I’m pumped to let you know that I’ve been in the studio working on a short little duet diddy directed by talented dancemaker Amy Jacobus & danced with fierce friend Allie Pinel. 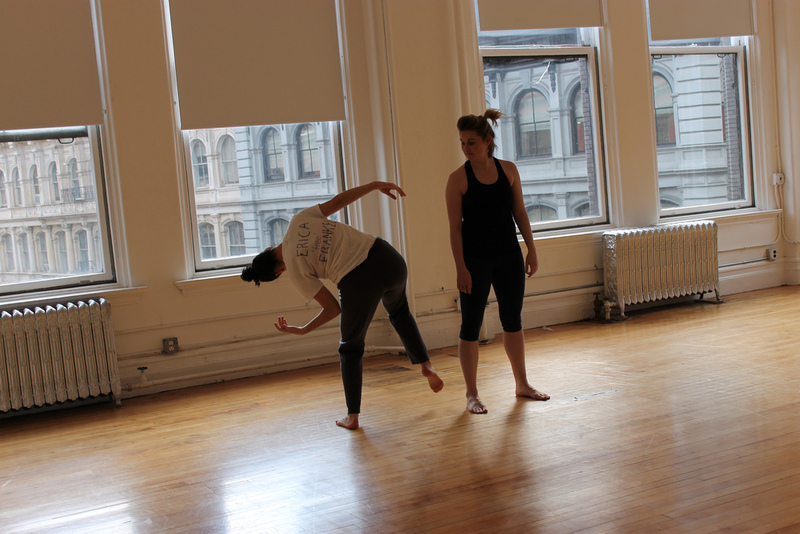 I serve on Dance/NYC’s Junior Committee with these folks, so it’s fun to take a break from our regularly scheduled arts infrastructure dweebing to actually move! Zero dollars is usually always my favorite number of dollars to spend. See you soon! This weekend I performed my improvised solo Ascent twice at In-sight Dance’s Suite Summer Festival in Long Island City Queens. I extend a big tip of the hat to In-sight, who have made it their mission to raise the profile of dance in the borough, and do so through multiple community engagement initiatives and outreach projects. I personally found myself spending much more time in Queens than usual, shuttling back and forth on the 7 train for tech rehearsals and shows. Queens is a true community. It’s the sort of place where it just feels natural to invite the guys at the sandwich counter across the street from the theater to your show later after they notice you’re a noob and welcome you to the neighborhood. The performances themselves were a thrill. It is a particular challenge (and opportunity) to improvise each night, and I love the presence it necessitates and conversations it invites. Many audience members came up to me after the shows to tell me how much they enjoyed the piece and, if they’d seen it both times, commented on new moments of inspiration or lamented favorite moments that did not make it in the second time. 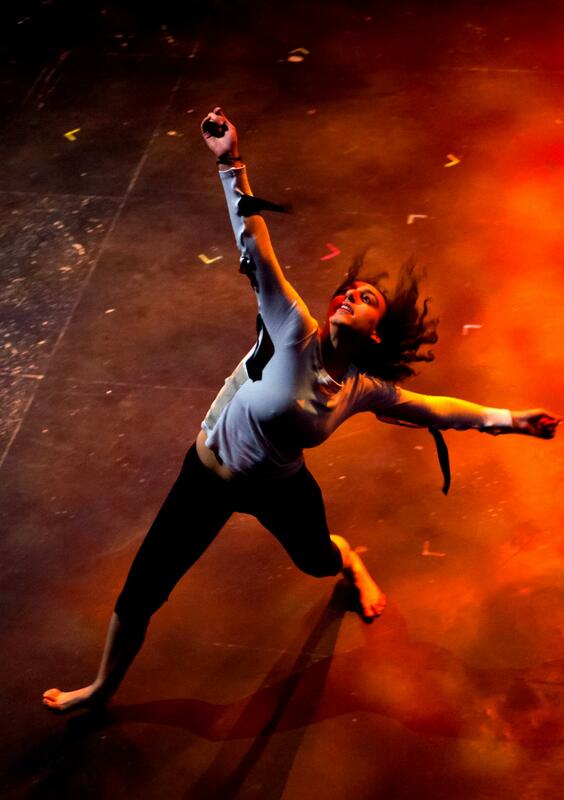 Additionally, fabulous lighting designer an all-around rockstar Tuce Y. enjoyed improvising the lights along with me. Do you know how awesome that is? 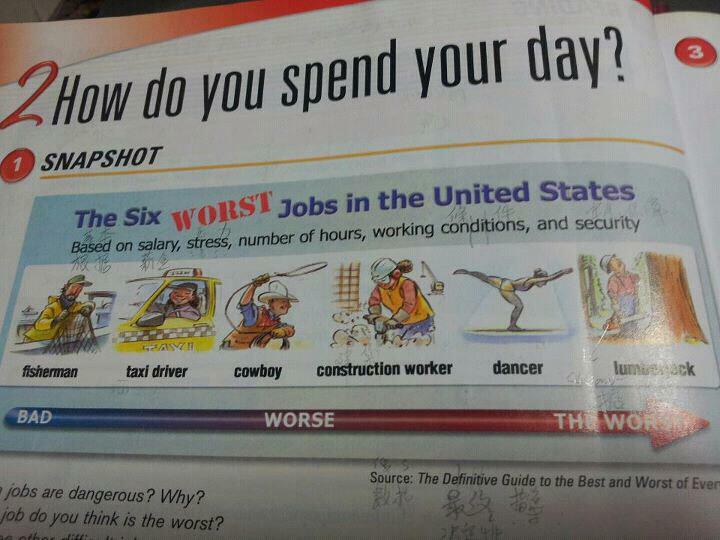 Major shout-outs. And, a particular bonus, fellow Jacob’s Pillow alumnus Yesid Lopez presented an exquisite duet in the same program and we got to reunite and scheme about heading up to the Pillow in a few weeks for Alumni Weekend. Anyone want to give us a lift to the Berkshires. Major wolf-whistles and high fives to In-Sight’s artistic director and festival coordinator (and fellow JComm member) Leanne M. G-Bowley for an incredible weekend of shows. Exciting news: I’ll be re-staging my duet Ascent, originally presented at NYU, as a solo in the In-Sight Dance Company’s Third Annual Suite Summer Festival. Tickets: Tickets can be purchased at http://suitesummer12.eventbrite.com. They are $15 in advance and $18 at the door. Email me if you are a dancer and would like access to the special discount code for dance professionals. Well, I am here in Israel. I arrived on Friday morning very early and, after many technology failures and general hijinks, I was picked up on the side of the road by the Azrieli shopping center in front of the HaShalom Train Station in Tel Aviv by my good friend Gady who I know from working in Hillel. After dropping my bags in the Williamsburg-trendy Florentin neighborhood (where an apartment-sitting arrangement had been made for me), I then joined him and his girlfriend Kama for a holiday weekend of traveling and being hosted for delicious meals by his family and hers. 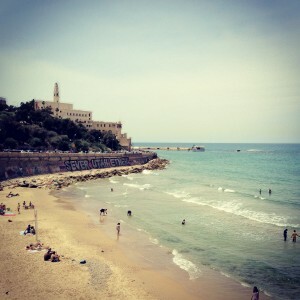 On Sunday, the Jewish holiday of Shavuot, most stores and such were closed so I walked around to orient myself, found the Suzanne Dellal Center (the hub of contemporary dance in Tel Aviv), and went to the beach multiple times. Monday was a great day. I spent the morning and afternoon walking around to dance studios in the area and ambling through the Shuk HaCarmel market before taking a Gaga/people class in the evening. Aaaaand, who should show up but Erik Thurmond, a friend from my dance studio days in Snellville, GA? It was pretty incredible to see him, and the class itself, taught by Idan, was fun, full, and freeing. After class Erik and I compared notes. He has been here studying Gaga with the Batsheva company for a while and is just recently back after a quick visa run to Paris. We grabbed some frozen yogurt and chatted for an hour before curtain opened at the Suzanne Dellal Theatre on a show by Rina Scheinfeld. I’d bought tickets earlier on a whim in the balcony. And, lo and behold, when I arrived in the balcony, Leia Weil (a great friend from NYU) was sitting exactly behind me! She introduced me to her friends Yael and Dalia and we settled in for the performance. Which was…strange. I’ve never seen such a bizarre mix of undecipherable pantomime and video projection art and plain old tricks. The most groan-worthy moment arrived when one particularly tall dancer stood in the middle of the stage, and grabbed her leg all the way up by her ear while grinning at the audience. We lauded the same dancer later, however, when she returned to the stage to do some self-serious and well-coordinated ribbon dancing. On Tuesday I missed the morning Gaga class and so I spent the day walking around the city and down to Jaffa port where I bought a cotton tapestry from the market. I spent a lovely day ambling around, and in the evening I saw the Kibbutz Contemporary Dance Company perform work by Rami Be’er at Suzanne Dellal. These dancers were ferocious! The choreography was virtuosic and beautiful, but I was most struck by the fabulous lighting design. If I could decipher my program, I’d give shoutouts to the designer. This morning I woke up and took a ballet class at Mercaz Bikurei Haitim with the first year students in the “Masloos” school (a professional training program). I was grateful that the instructor peppered a healthy dose of English into her instruction, and that the woman I spoke with at the front desk allowed me to be a guest in the class. Apparently citing “NYU Tisch” works here too – this has lent me legitimacy on more than one occasion here when I show up as an American out of the blue. 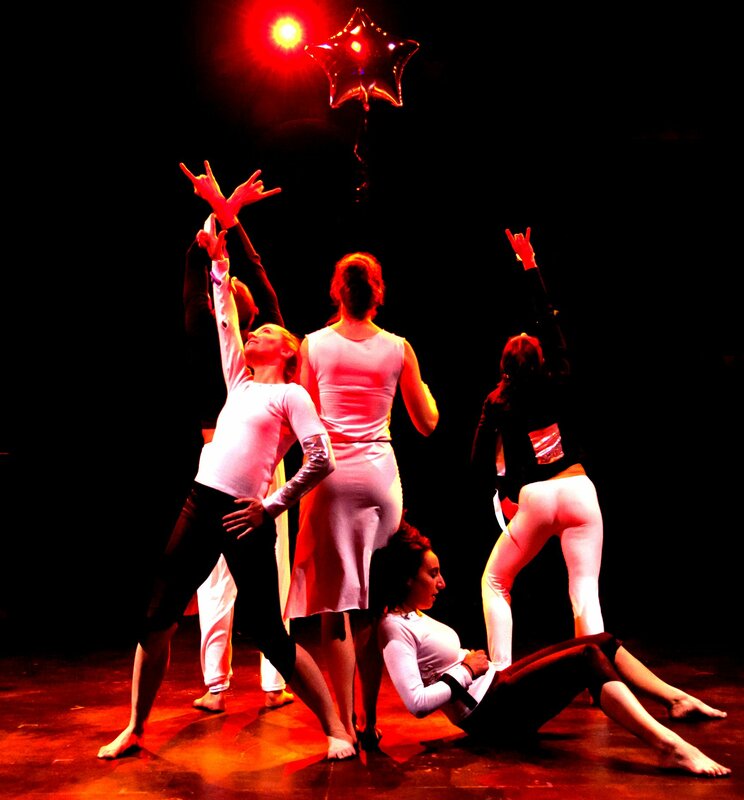 This evening I’ll take another Gaga class and then I have tickets to see a studio performance of “Batsheva Dancers Create,” featuring original work by members of the company. Excitement abounds. Last week I was thrilled to learn that I’ve been awarded a modest grant from NYU to go study contemporary dance in Israel this Summer. It seemed my friends and family were thrilled, too: in a pretty absurd turn of events my status on FB got about 102 likes. I felt like a celeb! And, when I got down to it, it made sense…this was something that my dance friends, my Jewish friends, and my NYU friends could all get behind. Thanks for the support and congratulations, all. 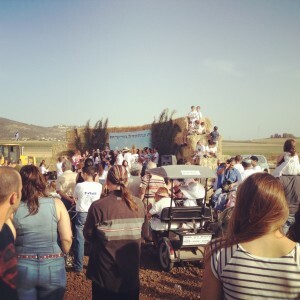 I will be certain to keep a travel log/blog here while I’m in Israel. Now, the tough work begins and I have to make plans. When should I go? Where should I stay? What festivals or classes or workshops will be going on in Tel Aviv this Summer if I have between 2-3 weeks to spend? I’m lucky to have several leads, thanks to good friends and also some kind strangers on Twitter who saw my call for help. The dance world is awesome in that way — everybody is always happy to pitch in and share knowledge. If you know something else I oughtta be checking out, or someone I oughtta speak to, please give me a holler. VaBang! Dance Company is gearing up for a performance as part of the Green Space Blooms Festival on April 14th. Here are some shots from the studio last weekend. Shoutouts to faboosh V! 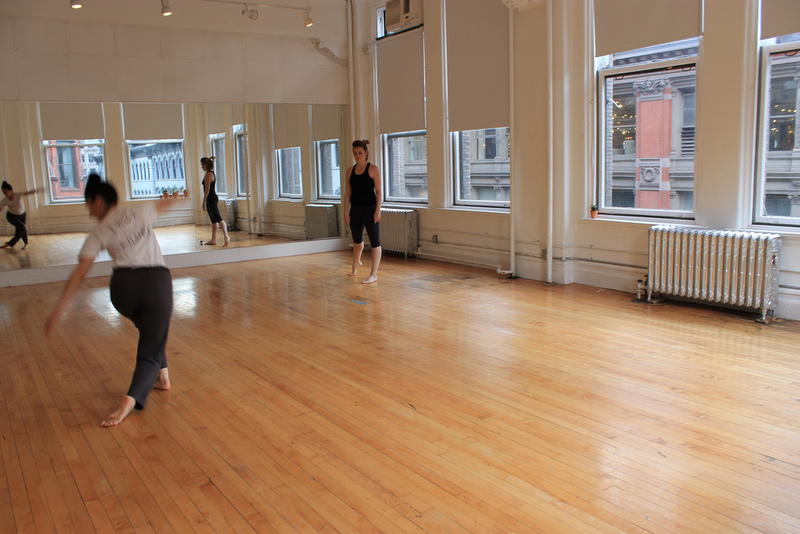 intern (and Tisch Dance student, woop woop) Rachel Hagan, the photog. 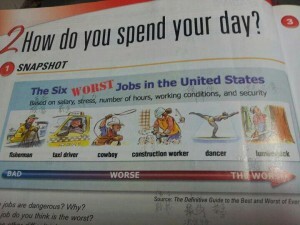 According to this, being a dancer is one of the six worst jobs in the United States. Just saw some sneak peeks of photos from my performance late last month in Boston at OBERON. Look!